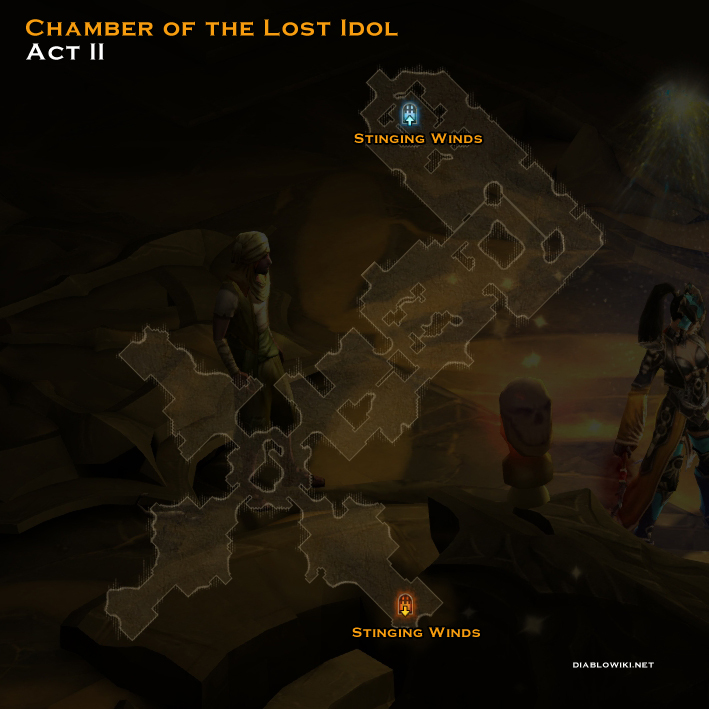 The Chamber of the Lost Idol is a randomly spawned single-storey dungeon within the Stinging Winds area of Act II. The configuration of the dungeon is random but it is roughly this size each time. This page was last edited on 18 May 2013, at 00:30.